We offer a full line of feed and supplements from Purina Mills and Moore Feed, each carrying feed that's formulated to meet the needs for your animal's life. Purina's high product standards help animal owners succeed in today's competitive marketplace. We also stock fresh-cut coastal hay and alfalfa hay, shredded and cubed, to enhance your animal's performance and health. We also have round bales available for pastured animals. Delivery is also available for feed and/or bedding. We carry vaccines for horses like tetanus toxoid, Eastern and Western killed virus, influenza, and West Nile and antibiotics and more. We carry a large variety of supplements from Purina, DuraVet, Farnam, Tuttles, Horse Health Products, Manna Pro, and many more. Our knowledgeable staff would be happy to help decide what is best for your money and what is needed to get your animal looking the way you like it. Need animal bedding? We stock pine shavings in 35 lb. bags. Buy in quantity and save 5%! Stalls and round pens? We carry Behlen Country Stalls and round pens, all of which can be personalized to fit you and your animal location and needs. The round pen can vary in dimensions and colors and is also available in galvanized. You also have a variety of door and gates to personalize your stalls and round pens. Gates and round pen panels can be sold separately. Ultium® Competition Horse Formula is the new standard in sports nutrition to help top equine athletes compete at their highest level. Unique, patented "pellets and extruded nuggets" preven sorting, reduce waste and transport easily. 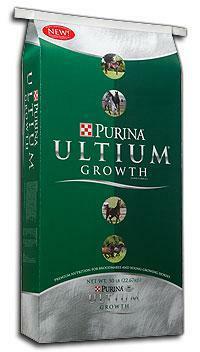 Highly palatable and digestable, Ultium is "nutrient dense" and "highly efficient" so you "feed less." Athlete® Horse Feed is an advanced feed formulated specifically for horses competing in physically demanding activities. Its high fat nugget and patented process was developed and tested over a several year period, are an innovative applications of new process technology as well as advancement in horse nutrition research. The result of this intense research and careful development in Purina Mills Athlete® Horse Feed -- an advanced feed for competition horses. Purina Mills Equine Adult® horse feed provides optimum nutrition from active to easy-keeper adult horses. Equine Adult® is a complete, convenient way to feed horses in their middle years. A horse's middle years are often the most demanding and maintaining proper dietary balance can be complicated and confusing for owners. The Purina Mills Equine Research Unit developed Equine Adult® horse feed to provide a total nutritional package of high-quality protein, energy, vitamins and minerals along with highly digestible fiber. 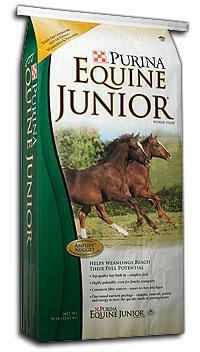 Equine Junior® horse feed was developed to eliminate the guessing game of feeding a growing foal. This feed is a "complete feed" which means it is an all-in-one diet hay included. Hay is not necessary but can be used to meet the nutritional needs of weanlings to two year olds. Equine Junior® horse feed is a revolutionary new feed that offers a new way to feed foals. A way that you can be assured is the very best for your young horse. Equine Senior® horse feed was formulated to provide owners with a complete feed that furnishes optimum nutrition for the older less efficient metabolic systems, to insure a lengthy and contented life. The feed is made up of pre-processed alfalfa and grain products that are high in nutrients and more easily digested by older horses than whole grain feeds, loose hay or pasture. Horse Chow 100® horse feed is a complete feed for active pleasure horses. Containing highly digestible energy, protein, vitamins, minerals and roughage, Horse Chow 100® offers consistency in your horse's diet. As a complete feed without need of hay or pasture, it offers a practical and economical way to feed your horse. Horse Chow 200® horse feed is a complete feed for performance and show horses as well as breeding horses. As it is a complete feed, hay is not required to supplement the horse's diet simplifying your feeding routine and offering consistency in your horse's ration. 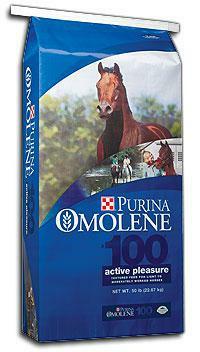 Purina Mills Omolene® #100 Active Pleasure horse feed is the highest quality sweet feed designed for pleasure horses. It provides all the necessary nutrients to promote stamina, strength and vitality for horses that enjoy an average amount of pleasure riding. With a balanced mix of grains, including oats and corn, and specially formulated molasses, Omolene® #100 Active Pleasure horse feed provides high quality nutrition to maintain your pleasure horse’s appearance and body condition. 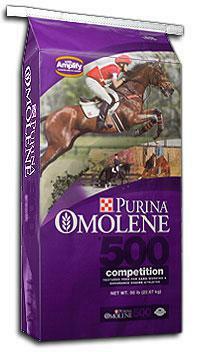 Purina Mills Omolene® #300 Growth horse feed is the highest quality sweet feed formulated for foals and lactating mares being fed with their foals. 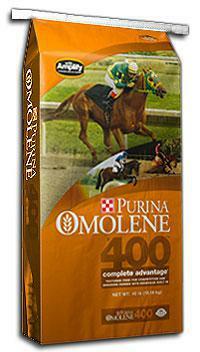 No additional nutritional supplements are needed when you feed Omolene® #300 as recommended. With 16 percent protein, it features added milk products for superior growth and nutrition. 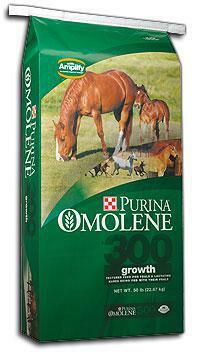 Omolene® #300 gives foals protein energy, vitamins and minerals needed to grow into sound, healthy adulthood. Performance nutrition for the winning racehorse. On today's racetrack, seconds mean the difference between 1st and "also ran." Equine athletes must have high-quality nutrition, scientifcaly formulated to provide that race-ready edge to allow them to move ahead of the competition. The Race Ready® sweet feed product from Purina Mills does exactly that. With the industry's highest level of beet pulp and energy from multiple sources, Race Ready® horse feed provides the calories required for top speed and endurance, plus the fiber for proper digestive function. A highly digestible, energy-dense feed, Race Ready® maximizes performance while minimizing the opportunity for digestive upset. Strategy® Professional Formula GX horse feed meets your horses’ needs, from maintenance to efficient breeding, to winning performances. This highly digestible feed is nutritionally balanced and its pelleted form makes it convenient to transport, feed and store. The new enhanced formulation has improved levels of amino acids and vitamins and minerals. This greater nutritional profile can deliver even better convenience, value and performance for you and your horses. 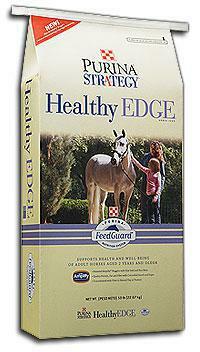 Horsemans Edge® Pelleted Horse Feed delivers performance at a reasonable price. A nutritious, high-value, quality horse feed formulated with fresh, natural grains fortified with essential protein, vitamins and minerals for performance, breeding and growing horses. Available with 10%, 12% or 14% protein with essential amino acids for muscle growth and repair. Horsemans Edge Sweet Feed delivers performance at a reasonable price. A nutritious, high-value, quality horse feed formulated with fresh, natural grains fortified with essential protein, vitamins and minerals for performance, breeding and growing horses. Available with 10%, 12% or 14% protein with essential amino acids for muscle growth and repair. Nature’s Essentials® Amplify™ Supplement is a high-fat, lower-starch extruded particle providing calories for weight gain, performance, lactation and sales prep in a nutritionally balanced formulation. It is available in a 30 lb. bucket. Nature’s Essentials® Enrich™ 32 Supplement (Formerly Born To Win®) Balances Nutritional Limitations of Moderate-Quality Forages and Straight Grains. Nature’s Essentials® Enrich™ 32 pelleted horse supplement is a concentrated source of quality protein, vitamins and minerals. It’s designed to be fed with unfortified whole grain and/or moderate/good quality forage diets (predominantly grass or mature legumes) and serves a variety of lifestyles including growth, reproduction, moderate performance and active pleasure. It is available in a 50 lb. bag. Nature’s Essentials® Free Balance™ is a vitamin and mineral supplement with Granular Technology Delivery System.™ Also includes added vitamins E and D, improved copper, zinc, magnesium and potassium levels. Available in a 25 lb. bucket and 40 lb. block. Nature’s Essentials® Enrich™ 12 Supplement (Formerly Mare & Maintenance®) Balances Nutritional Limitations of High-Quality Forages and Straight Grains. Nature’s Essentials® ENRICH™ 12 pelleted horse supplement is a concentrated source of quality protein, vitamins and minerals. It’s designed to be fed with more nutrient-dense higher quality forage and whole grain diets and serves a variety of lifestyles. Enrich™ 12 Supplement is ideal for broodmares in the first two trimesters of gestation. 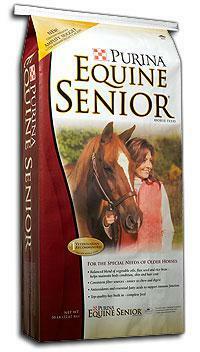 It is also suited to help avoid excess weight gain in “easy keepers,” idle horses and breeding stallions. Enrich™ 12 Supplement provides the proper balance of protein, vitamins and minerals without excessive calories. It is available in a 50 lb. bag.